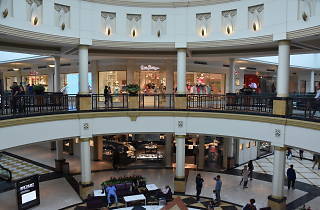 Located about 25 miles northwest of Philadelphia, the King of Prussia Mall is a sprawling, skylit shopping complex featuring more than 400 stores—mostly of the corporate variety. High-end boutiques like Jimmy Choo, Burberry and Louis Vuitton are mixed in among national department store chains such as Macy’s, Nordstrom, Neiman Marcus and Bloomingdale's. For thriftier wares, shoppers head to spots like Primark, Uniqlo, Urban Outfitters and Anthropologie. 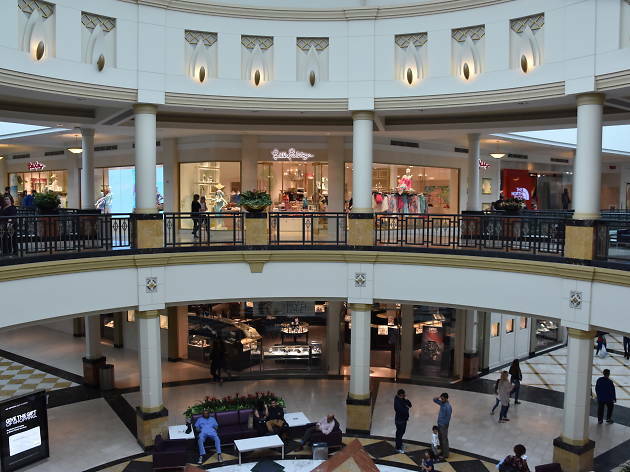 Dining options include a food court with your typical mall fare and a handful of restaurants including California Pizza Kitchen, Shake Shack and Rock Bottom Brewery for those who like to shop with a buzz.